CMCO are the parent company behind leading brands: Yale, Pfaff-Silberblau, Camlok and Steerman. 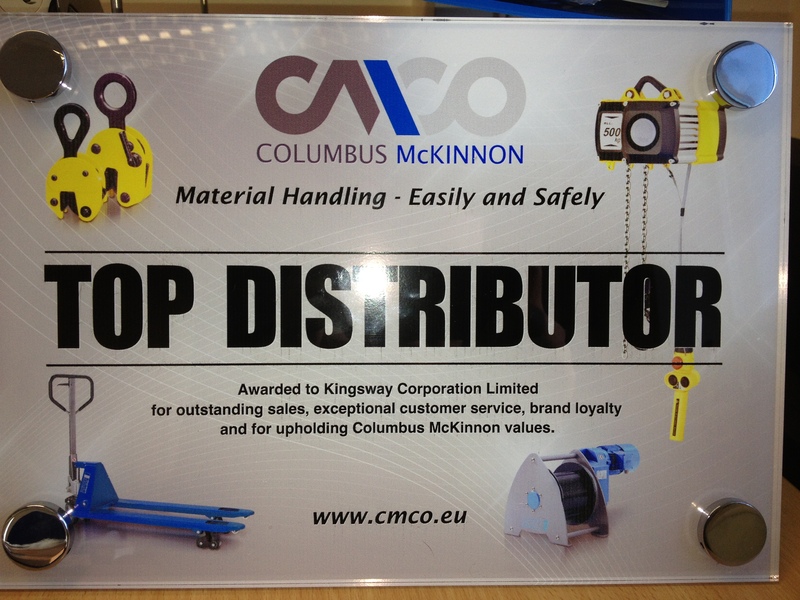 This morning we had a visit from a Columbus McKinnon representative who presented us with the award for ‘Top Distributor’ For our outstanding sales, exceptional customer service, brand loyalty and for upholding Columbus McKinnon values. -A big Thank You to Columbus Mckinnon Corporation. Check out our efforts and Lifting Equipment for sale at Lifting Equipment Store. This entry was posted in Uncategorized and tagged cmco, columbus mckinnon, lifting equipment, Material Handling, top distributor. Bookmark the permalink.